The Phoenix Women’s Enrichment Weekend, held Aug. 5-7, was a great success! The theme of the weekend was “Put on the New You” with a focus on Colossians 3:1-17. 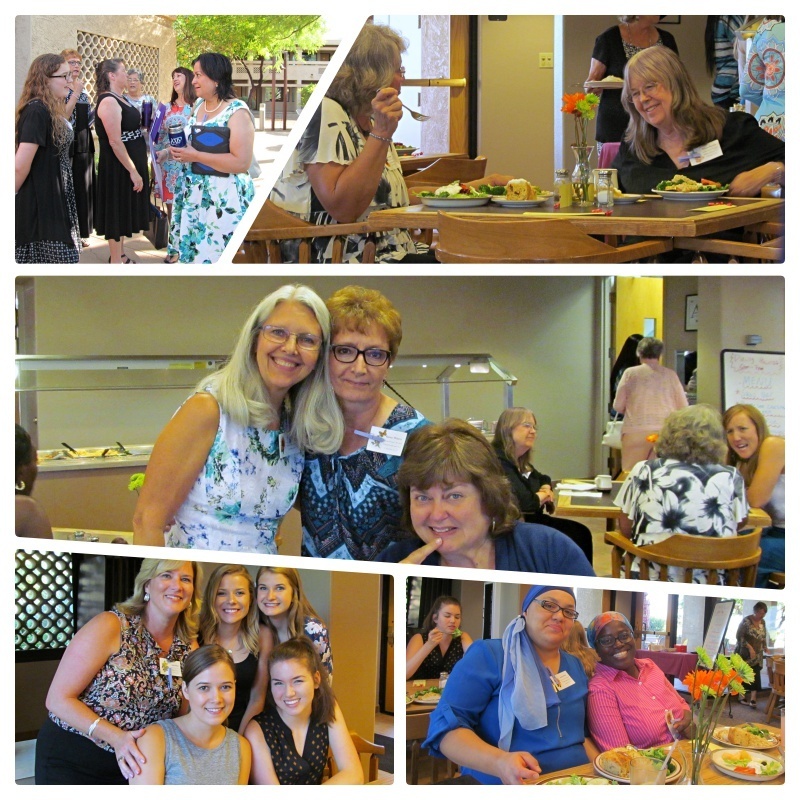 A collage of photos featuring women who attended the Phoenix Women’s Enrichment Weekend. The weekend was set at a thoughtfully laid out venue called Spirit in the Desert Retreat Center in Carefree, Arizona. The center is arranged in such a way as to enjoy wonderful views in a natural setting full of native plants and the animal life that visit such areas. Due to the setting, some of the ladies enjoyed viewing wild javelina (peccary), coyotes, lizards and various birds including families of quail. Since no formal events were scheduled for Friday evening some of the ladies enjoyed a salmon dinner before heading into the Sabbath. They were also able to settle into their spacious rooms, swim in the pool, relax in the hot tub and fellowship in the shared living area. For some the Sabbath day began with a shared meal in the cafeteria or just taking the tranquil time to enjoy the morning in their rooms. Others arrived that morning to begin the weekend. In all, four states were represented: Arizona, Ohio, California and New Mexico. After breakfast all the ladies were excited to gather in the Ravenscroft Chapel to hear Sandy Messer give a speech titled “Who Are You? Who Is the New You?” Explaining why it helps to know each other better, using our individual results from a Myers Briggs personality test we had all taken before attending. Sabbath services followed, which included a wonderfully appropriate-to-the-weekend sermon, given by Darris McNeely called “The Fellowship of the Heart.” Special music included a duet sung by Sylvia Kennedy and Susie Velasquez. Susie then sang with her daughter Eva, who also played guitar. After services the ladies broke for lunch and spent more time getting acquainted. The afternoon included a speech by Kelli Ferrier about using spiritual tools to set our minds on the things above and to be renewed. All enjoyed a very creative activity where the ladies shared their favorite ways to use their spiritual tools with each other. Just before dinner, visiting speaker Debbie McNeely spoke on “Being Clothed With Mercy”—a look at how God saw who we could become and how we need to offer mercy to others. During dinner Joy Zimmerman shared the value of words. After dinner, Kay Schreiber led a discussion about how women of the Bible adorned themselves and what is most important to put on. The final event of the evening was a discussion led by Sandy Messer about the personality assessments we had taken and how they impact the way we put on the characteristics discussed throughout the day, and our perspective from examples in the Bible. All good things must come to an end, however, and so Kay Schreiber conducted a very moving farewell activity that uplifted the spirit of all the women before we all ended with a group hymn and prayer. After many hugs, all left feeling refreshed and moved by the weekend.